Twenty plus years on the road, the ‘six’ have been there all along. Howlin’ Wilf and the Vee Jays to the James Hunter Six, Billboard Blues’ chart album success, Hunter does as he has always done – rock-up and play. The Essex boy with a rockabilly swagger, long-time Jumpin’ Hot Club favourite James Hunter headlined day two at this year’s festival celebrating everything Americana. 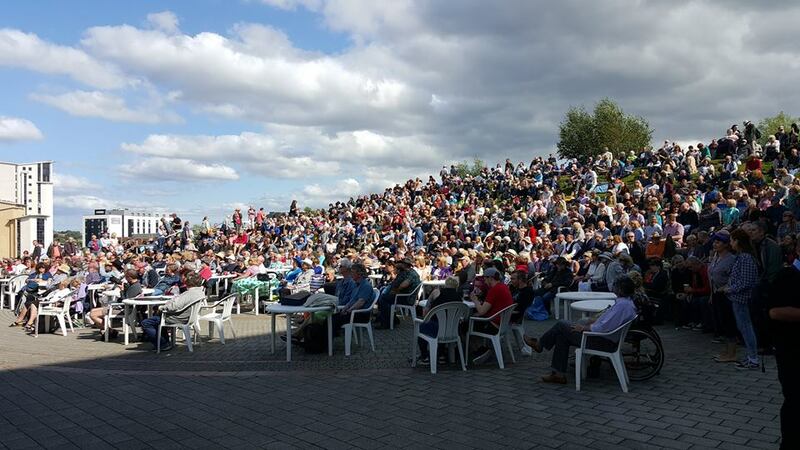 The outdoor amphitheatre adjacent to Sage Gateshead was crammed. Tables and chairs, folding tables, hampers, Stetsons. Hunter does soulful rhythm and blues. Catching sight of the headwear Hunter joked he’d better watch what he said up here in redneck country! The band’s extensive back catalogue – People Gonna Talk (2006), The Hard Way (2008), Minute by Minute (2013) – afforded Hunter a bagful of goodies including Chicken Switch and the crowd loved it. Dancers – shuffling two-left-feet types getting in the way of those would could really dance – occupied the ‘look at me’ area slap bang in front of the stage. The horns make the ‘six’. Damian Hand (tenor) grabbed the solos, the rhythm section a non-stop powerhouse. Keys man Andrew Kingslow went for a Hammond groove, front-man Hunter rockin’ in rhythm. Occasionally Hunter’s vocal came from Sam Cooke with a grittier edge to it standing back, then further, from the mic, pleadin’ hollerin’. Stick that in yer Stetson! The Five Royales’ Baby Don’t Do It was worth standing with the rednecks. Close your eyes and it was a get-on-down James Brown soul revue.